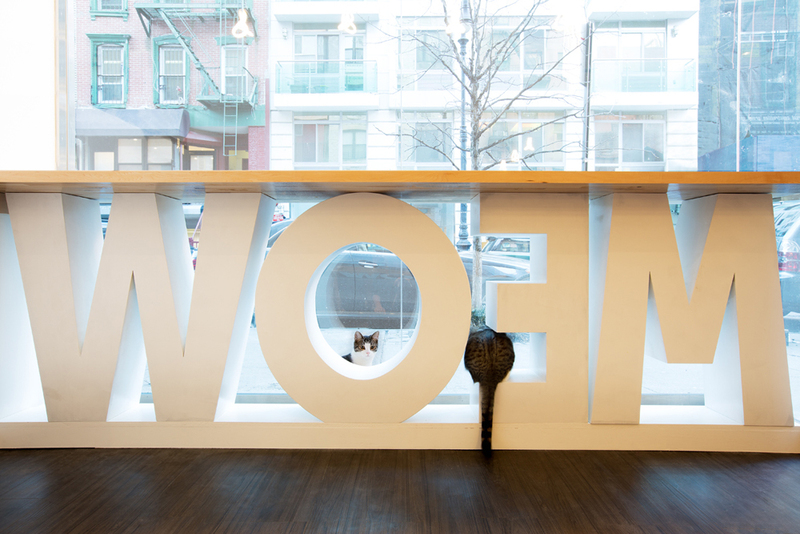 Sonya Lee Architect designed the Meow Parlour, which is a cat cafe in New York City, where people get to interact with cats, while they drink their coffee. 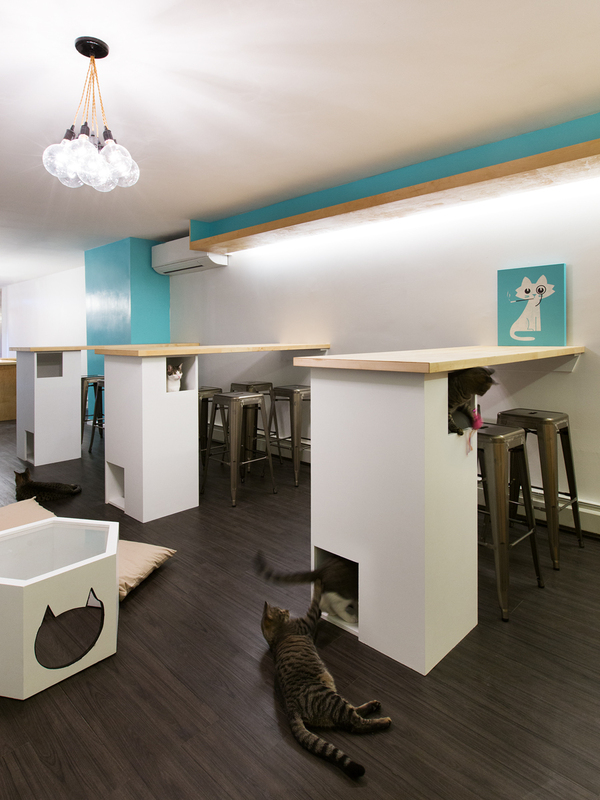 The cat cafe allows the cats to roam freely, while they’re waiting to be adopted. 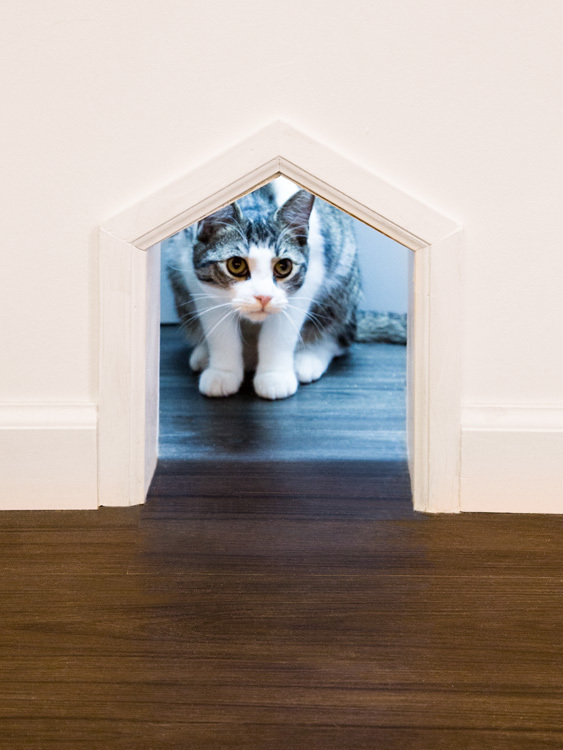 The furniture was designed to make it easy for the cats to play, hide and explore. 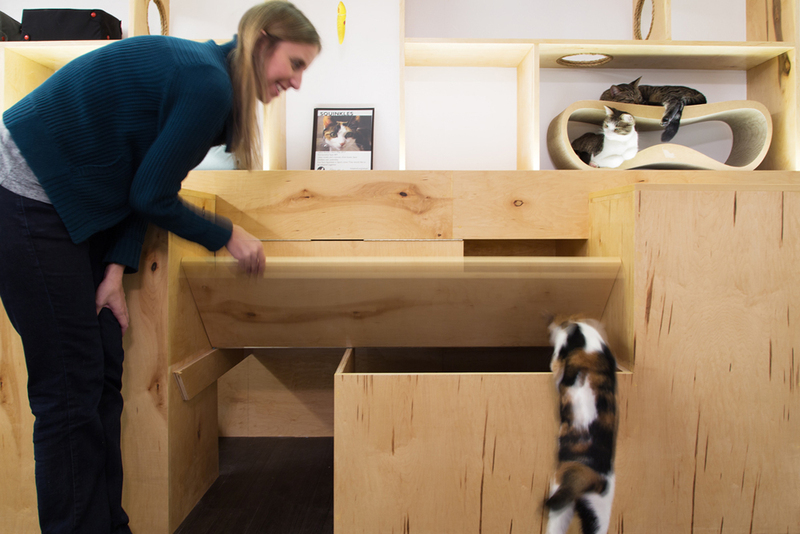 For example, you can see in the photo below, the table has been designed with supports that become a vertical maze for the cats to play inside of, as their visitors sip their coffees. 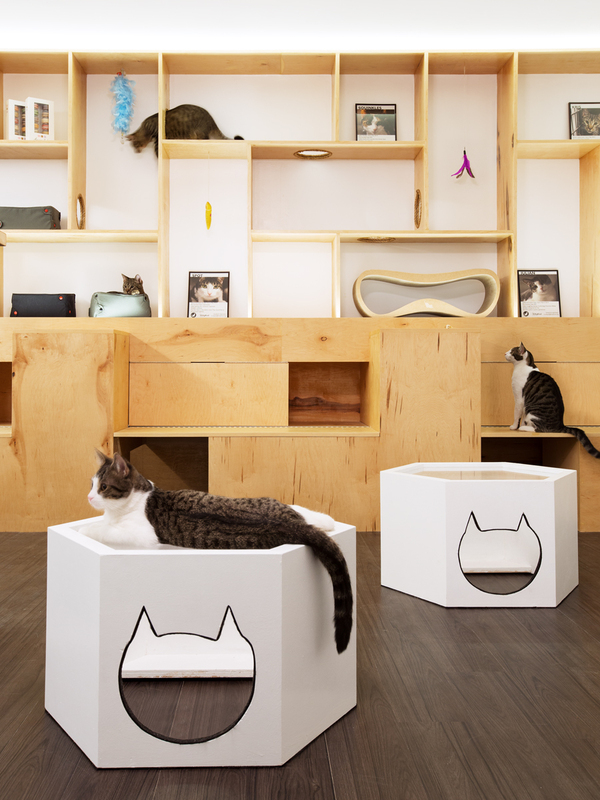 There’s a wall of cubbies and shelves, which is home to beds and toys. 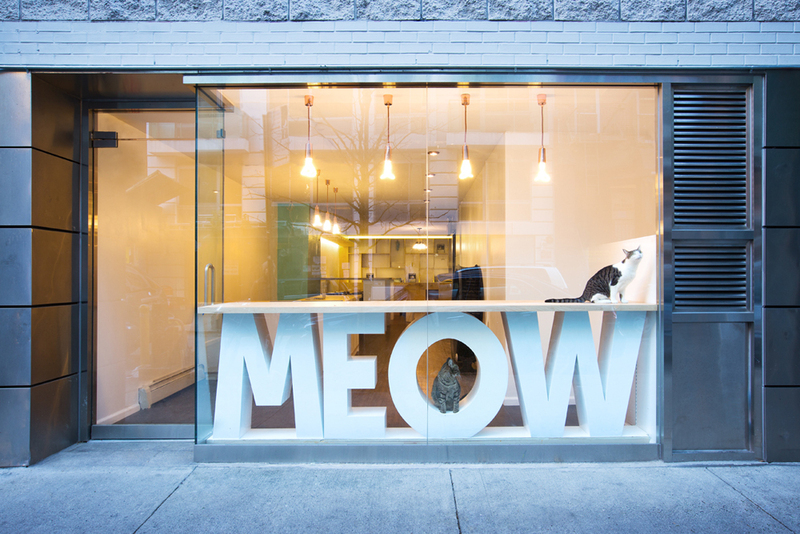 The low hexagonal tables have a lasercut acrylic top, with kitty heads cut out for doors.